UN DESA/DSPD – Ecuador High-Level Forum on Disability Inclusion and Accessible Urban Development, 16 October 2016, Quito, Ecuador. It is estimated that by 2050, 66% of the world’s population will be living in cities. The United Nations’ Third Global Conference on Housing and Sustainable Development – Habitat III – will take place in 2016 to review the progress, experience and less ons learnt in the past and to design a “New Urban Agenda”. This Agenda of focused policies and strategies is hoped to harness the power and forces behind urbanization. Habitat III therefore provides an important platform for the world’s urban development policy makers and practitioners, as well as those working in the field of disability to review current progress and practices and consider opportunities for change. Importantly, the New Urban Agenda needs to ensure that future cities, towns and basic urban infrastructures and services are more environmentally accessible, user-friendly and inclusive of all people’s needs, including persons with disabilities. Urban environments, infrastructures, facilities and services can impede or enable, perpetuating exclusion or fostering participation and inclusion of all members of society. Persons with disabilities face widespread lack of accessibility to built environments, from roads and housing, to public buildings and spaces, basic urban services such as sanitation and water, health, education, transportation, and emergency response programmes. 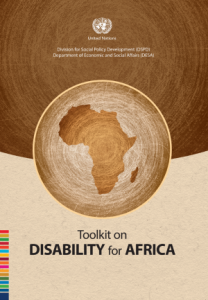 Barriers to information and communications, including relevant technologies and cultural attitudes including negative stereotyping and stigma also contribute to the exclusion and marginalisation of persons with disabilities in urban environments. Too often, urban environments have served as a barrier to the inclusion and participation of persons with disabilities in economic and social development in cities and communities. Lack of accessibility contributes greatly to the disadvantaged and vulnerable situations faced by persons with disabilities, leading to disproportionate rates of poverty, deprivation and exclusion among persons with disabilities. It is important to note that developing urban infrastructures, facilities and services that are designed and built following accessibility or inclusive “universal design” principles from initial stages of planning and design incurs additional costs equalling to approximately less than 1 per cent of the total cost . The returns, of course, lead to many more benefits to all service users (such as fewer accidents, more diversity of society capturing persons of all talents and abilities). Accessibility is established in the Convention as a cross-cutting factor that enables persons with disabilities to live independently and participate fully in all aspects of life. The Preamble to the Convention emphasizes the “importance of mainstreaming disability issues as an integral part of relevant strategies of sustainable development.” Accessibility is a general principle (Art. 3) of the Convention and is notably included as a general obligation of States Parties (Art. 4) to proactively promote accessibility in design and development as well as availability of new technologies, including those of information and communication technologies (ICTs). Yet, there remains a gap between the ambitions of the Convention and mainstream socio-economic development policy and practices on the ground. During the 2013 World Habitat Day, UN Secretary-General Ban Ki-moon called on the international community to make towns and cities accessible for all persons in society, ensuring inclusive development and participation. As the world is now designing a post-2015 development agenda, the global community is presented with an opportunity to promote accessibility and inclusion of persons with disabilities in the “New Urban Agenda” as a precondition for inclusive, sustainable and equitable development. The work of the United Nations in promoting accessibility and advancement of persons with disabilities is deeply rooted in its Charter and commitment to promoting economic and social progress and human rights for all. The United Nations system is taking concrete steps to make the UN environment more inclusive of and accessible to persons with disabilities. Accessibility is also a key goal and means for successful implementation of the Strategy and Plan of Action of the United Nations Inter-Agency Support Group for the Convention on the Rights of Persons with Disabilities (IASG), now composed of over 25 UN agencies. The Department of Economic and Social Affairs (DESA), as the UN disability focal point has been actively promoted accessibility in context of sustainable and inclusive development for all. DESA organised experts group meetings on accessibility especially on built environments (Washington DC, 2010) and on information and communication and ICTs including in the situations of disaster risk (Tokyo, 2012) and published analytical researches on accessibility and development facilitating and supporting intergovernmental processes and bodies. DESA, serving as the co-chair of the UN IASG group and the Inter-Departmental Task Force on Accessibility at the United Nations Headquarters, has been also actively in promoting accessibility and disability inclusion within the work of the UN. In July 2016, the Third Global Conference on Housing and Sustainable Development (Habitat III) will take place in Quito to review the progress, experience and lessons learnt in the past and to design a “New Urban Agenda” , focused on policies and strategies that can result in effectively harnessing the power and forces behind urbanization. The envisaged New Urban Agenda will provide the global framework for urbanisation for the next decade. It therefore presents an opportunity for the international community to consider the place of accessibility and disability inclusion in economic and social urban development. 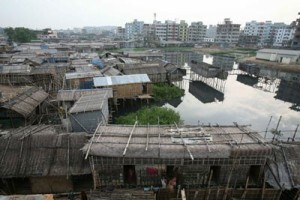 A New Urban Agenda, if well-planned, can be inclusive of and accessible to all, and could set the stage for future rapid urbanization to be used as an opportunity to create an enabling and transformative environment for production capacities, inclusion and better lives for all , by including and engaging all persons in society. What are cities’ next steps toward implementation? Featured: World Enabled, Women's Refugee Commission (disabilities section), Disabled People's International (DPI), G3ict, GAATES, International Disability Alliance (IDA), International Disability and Development Consortium (IDDC), Rehabilitation International, Zero Project.